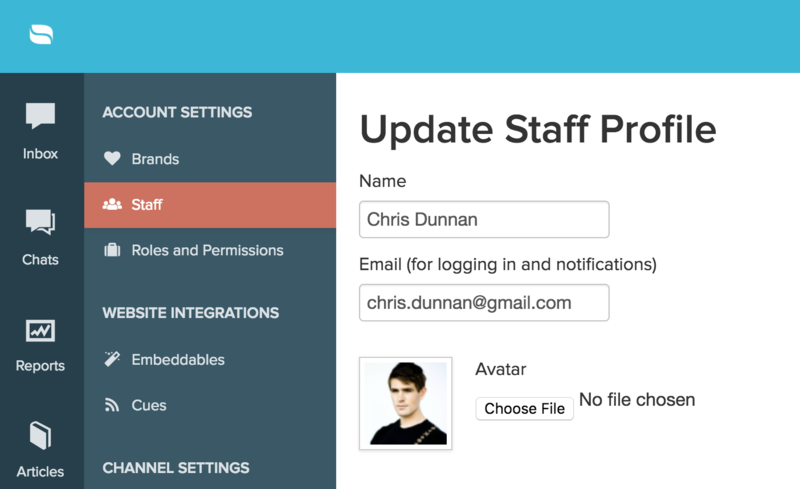 Your personal staff profile is composed mainly of your staff avatar, your staff email, your staff password, and your role. We highly recommend each staff member upload an image of their face as the avatar. 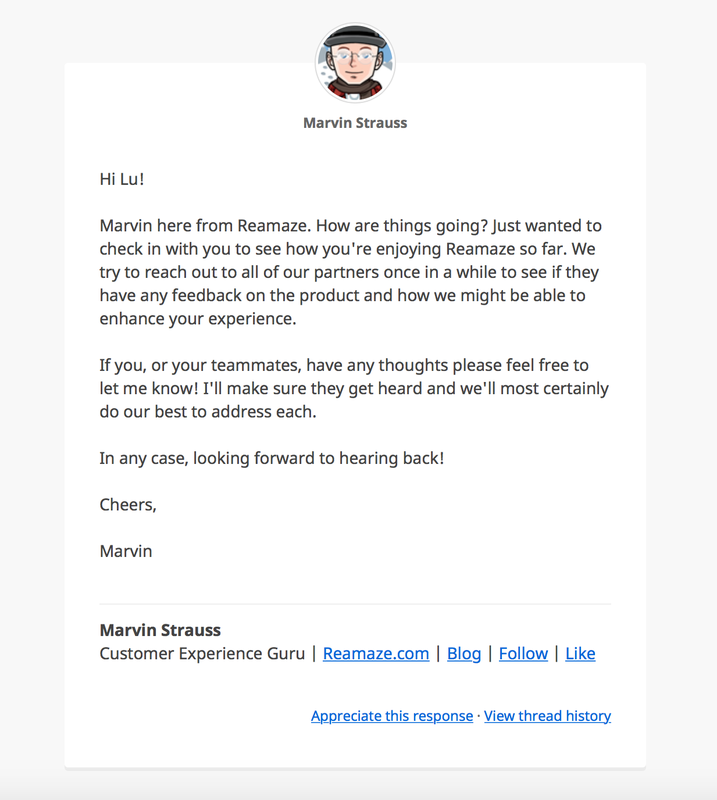 Re:amaze is designed so that when customers receive a reply from, for example, support@yourcompany.com, they see a personal staff member representing yourcompany.com rather than a generic, nameless and faceless "support team". To upload your staff avatar, go to "Settings" >> "Staff" >> "Actions" >> "Edit" >> "Choose File". Your staff email address is used only for receiving Re:amaze notifications, allowing other staff members to communicate with you within Re:amaze, and for logging in. It is never exposed to customers. If you need to change your staff email, you'll need to have another staff member change it for you. 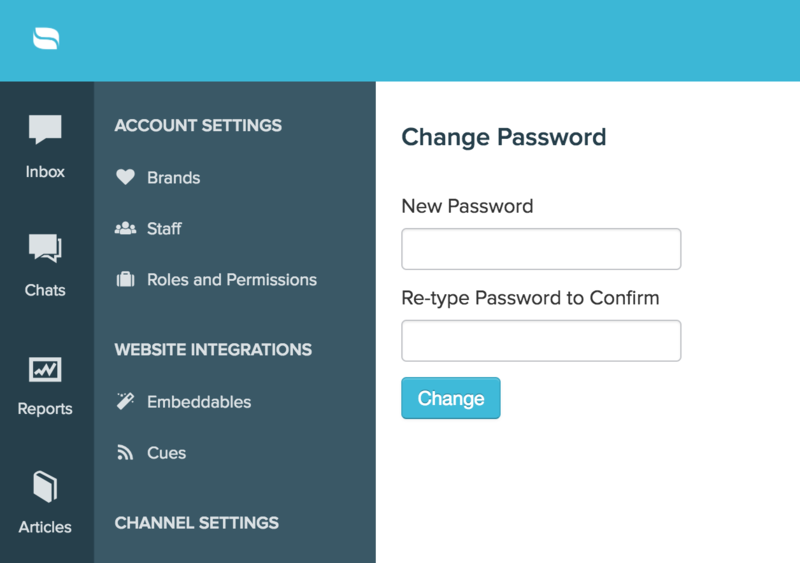 When you were first invited to join a customer service team in Re:amaze, you should have be presented with the opportunity to set your password. However, things happen and you might forget. If you're already logged in and would simply like to change your password, you can do so by going to "Settings" >> "Personal Settings" >> "Change Password". You can also change your password by clicking on the "Forgot Password" link on the login screen for your Re:amaze account. If a teammate is out of office or you need and you need to help fill in, you can always choose to log in as another staff member temporarily. This feature is known as "Masquerading". When you're masquerading as another team member, a yellow warning status will be visible at the top of your dashboard. You can always return to your "normal user" by hitting the link. Replying as another staff member will have the same effects as if that staff member was logged in himself or herself. You will take on their avatar, signatures, and everything else related to that staff member.